CYNTHIA NELSON OF TASTES LIKE HOME HAS A COOKBOOK!!! Yes, this is some free publicity for a fellow foodie that I adore because I think she is magnificent and has beautiful food and a beautiful spirit. 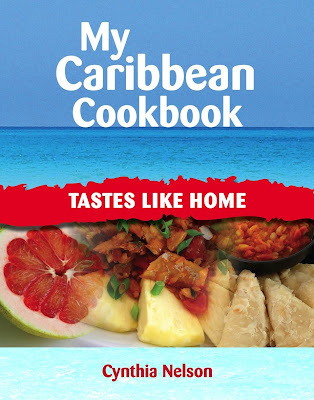 Cynthia has just had her first cookbook published based on her exquisite Caribbean Cuisine that she writes about each week on her blog and in her articles for the Stabroek News. This book would make a wonderful Christmas gift for that foodie in your life or a nice treat for yourself. The link should be up at Amazon.com anytime and I will link it to the graphic above as soon as I have it... and as soon as I order it!